We are an American owned and operated company, founded in 2002. We serve Lakeland, Florida, and surrounding areas. We do not use laborers and English is the primary language of all of our employees, so you will never have a communication barrier with any of our team when asking questions and or expressing concerns regarding your yard. 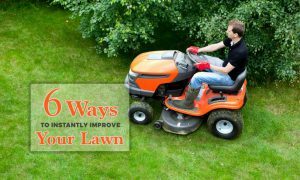 Lawn care services include mowing, trimming, edging, blowing and specialty services such as fertilization, weed & fungus treatment and more. Nothing pulls a yard together the way safe, healthy, well-groomed trees do. With 13+ years of experience in caring for Florida trees, we can provide anything your trees need. We’re your experienced, full-service landscaping company & Lawn service. Our passion is a healthy lawn and landscaping and our professionalism will surpass even the most demanding expectations. Whether you are looking for regular weekly lawn maintenance, professional landscaping design, or tree services, put our qualifications and experience to work for you. Our service area includes Lakeland and surrounding areas, including Kathleen, Lakeland Highlands, Auburndale, Plant City, Mulberry, Zephyrhills, Seffner and Tampa – and that is just the start. We are glad to accommodate customers in just about any area of Polk County and Hillsborough County. We’re the company that shows up on time, does quality work and doesn’t leave a mess when we leave. You’re probably thinking that those should be your minimum expectations. We agree 100% – but unlike some other local companies, we actually live up to your expectations and exceed them. We are a landscaping Lawn service company specialize in residential and commercial landscaping lawn care and tree removal. Take back your free time by having us take care of your garden. I am very pleased and impressed with Creative Edge Landscape.They have been taking care of my lawn since I have moved back to Florida.My lawn always looks great! These guys are hard workers and take great pride in their work.It’s nice to see these qualities in a company.They have always been very polite and pleasant as well.I would absolutely refer them to friends and family.I wouldn’t use anyone else. Not too often i can say i am blown away by a service however these guys are deserving of the recognition. I had them do my whole yard with sod (wonderful job and problem free) they planted flowers and now cut my grass weekly … i just love there service.. Thank you David for all your hard work. I am a Florida Licensed Real Estate Broker and I have a property listed in Lakeland, FL that needed service right away as well as ongoing service until the home is sold. Called David at Creative Edge Landscape and he responded right away, provided a reasonable price to mow and edge the lawn weekly. Team does a professional job. Would definitely recommend Creative Edge Landscape to others needing service in the Lakeland, FL area. Extremely happy with the landscape design and installation. The guys have done an amazing job of maintaining the yard and taking care of everything with no problem! This is the best lawn care I have ever received and I recommend them to anyone and everyone. What an amazing company! Hired them a few months ago for a clean up and ended up hiring them on permanently. Always prompt, professional and they always go the extra mile to make sure customers are happy. Highly reccomend.